Modular and adjustable, Fiamma works with a LED source base and a set of accessories to meet the different needs of lighting in hotels: bedside lamp, floor lamp, wall lamp, suspension light. The look is willing to be « domestic », to feel like being at home, in order to reinforce the cosiness of the object. 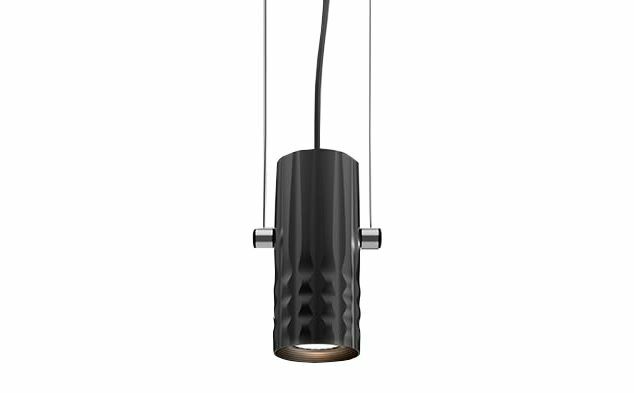 Fiamma is a systemic lighting element designed to respond to the needs of the contract sector, yet well suited also for everyday living environments.An anodized aluminium cylinder with a specific texture – a perfect combination of look and functionality – is the true luminous engine of the system. The light emitted by the LED source is cleverly controlled by a transparent diffuser, designed with an anti-reflex texture, to ensure visual comfort in all usage conditions.Different supports can be assembled on it, all made of carefully processed aluminium, to obtain a variety of versions – suspension, ceiling, reading, table.